The Plymouth Education Foundation supports the community's value on continuing education by sustaining and enhancing its Scholarship Program. Each year approximately 20 PHS graduating seniors receives a Foundation administered scholarship donated by area businesses and individuals wishing to recognize them for their accomplishments and help them pursue a post-secondary education. The Foundation's scholarship committee matches recipients to the specific criteria of its donors. Recipients show a commitment to their education, a sincere desire to serve others, and/or the ability to overcome challenges in an effort to reach personal goals. Over the past 30 years, the Foundation has administered over $500,000 in merit and need-based scholarships to students planning to attend either a university or technical school. The Plymouth Education Foundation makes it easy for individuals, businesses, or organizations to sponsor a scholarship. They supply the donor criteria and the foundation's scholarships committee selects the recipient on the donor's behalf. The donor is recognized in May at Scholarships Awards Night at Plymouth High School. Donors have the option to present the scholarship in person or have the Foundation present the scholarship on the donors' behalf. Making a donation to the Plymouth Education Foundation Scholarship Fund is an investment in the future of our community and a wonderful way to honor an individual, business, or organization. 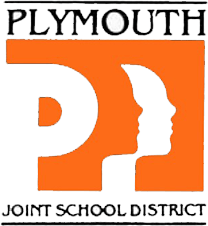 The Plymouth Education Foundation is a 501(c)3 organization, making donations tax deductible. For more information on how to become a Plymouth Education Foundation Scholarship Supporter please call 892-2661 ext. 1008. Download a donation form to participate in the scholarship program, or donate online. Read the press release about the scholarships awarded by the Plymouth Education Foundation to the Class of 2018. Read an article about the $1.6 million in scholarships earned by the Class of 2018.